Self-preserve much? Yes, you’re conscious about what you put into your body and avoid consuming foods with large amounts of added preservatives as far as you can, but are you conscious of what’s in your beauty products? Going green is a good start, but you might want to divert your attention to the synthetic preservatives found in the products you apply onto your skin. Luckily, the environmentally conscious beauties at Lush are focused on ridding their products of chemical preservatives and we’re here for it. Preservatives are required to make sure products aren’t affected by microbial spoilage. They help retain long shelf life, and ensure consumers are protected from any potential infection. With the need to prolong shelf life even more (and make products last longer), synthetic preservatives were added. Synthetic preservatives are used widely in food and cosmetics to extend their shelf life and prevent bacteria from growing. These bad guys are effective at what they do, but when they’re flushed down our drains, they accumulate and become toxic over time (imagine what they do to your skin). In 2015 alone, 75 000 tonnes of preservatives from cosmetic products entered water systems, rivers, lakes and the sea – and these powerful chemicals, in turn, affect the food chain and our health. Fast forward to the present, the good folk at Lush have been working hard to perfect their formula and create cosmetics that don’t require large amounts of preservatives. Because bacteria need water to survive and grow, their innovative products are formulated with little or no water and are perfectly balanced to create an environment that inhibits bacterial growth without using synthetic preservatives. They use natural preservatives like salt and honey, and ingredients low in water content such as clay, glycerine, cocoa and shea butter. Basically focusing on ingredients that are solid at room temperature, which create a difficult environment for bacteria to flourish. Although many (65%) of their products have always been low in preservatives, some of their best-sellers are now available in both preserved and self-preserving formulations. Self-preserving formulas look slightly different from the preserved formulations. They’re darker in colour, have a thicker consistency and feel a little different – they have a richer texture and tend to be more moisturising. Score! Their shelf life and the effects on our skin will be much like all of the other Lush products, just slightly better for you and the environment. Here are some self-preserving products to try to incorporate into your routine (from head-to-toe). 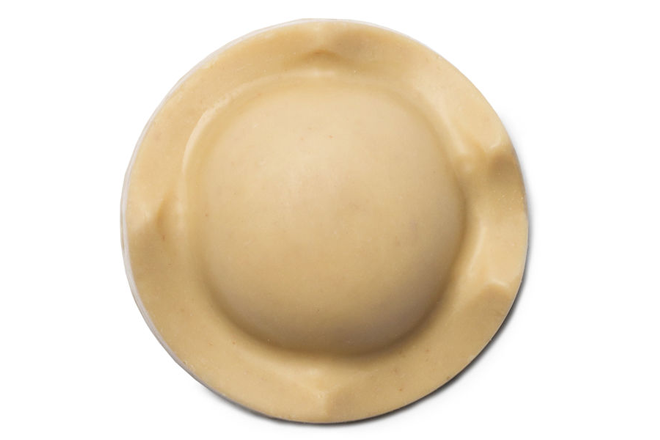 Profile: A deliciously fragrant stimulating spice shampoo bar for tired scalps. Great if you’re trying to grow your hair or if you’re suffering from hormonal hair loss. Packed with calming ingredients that stimulate the scalp, this product is not only good for the environment; it’s good for you too. What it looks/smells like: It looks slightly like a rolled-up meatball or dessert with a piece of flake placed strategically down the middle, but don’t be fooled. The aromas of spell-binding cinnamon, cloves, peppermint and rosemary make it a fragrant treat – but it’s still meant to be shampoo. Profile: If you believe what goes around, comes around, you’ll no doubt have nothing but goodness coming your way. Get cleaned-up, protect the environment and enjoy the lingering scent. What it looks/smells like: It looks like jelly, but alas, it’s soap. Packed with patchouli oils and brimming with a very strong and smoky aroma – much like the oils used by aromatherapists, so it’s packed with relaxing qualities. Profile: Condition your skin and give it a royal treatment with this intensely moisturising bar. Containing Fair Trade Colombian Cocoa Butter, this takes body smoothing up a notch. What it looks/smells like: You might want to light it up for a romantic night in, but this is in fact not a candle – or a pile of cookie dough. Rub it onto your skin and revel in the delicious cocoa fragrance. Profile: Embrace the rather adventurous name and the mouth-watering brushing experience that follows. Toothpaste that you actually chew and it tastes great? We likey. What it looks/smells like: While it looks like fancy anti-flu vitamins, it’s basically a really cool toothpaste. Floral rose oil and vanilla absolute combine with a burst of passion fruit. Nibble between the teeth and start brushing! Profile: A skin-soothing formula that is indeed a ‘Dream Cream’ for those suffering from eczema and sensitive skin. Similar to the original formula, the cult favourite lotion has been relaunched. Expect a slightly richer and thicker formula and of course, it doesn’t contain any synthetic preservatives. What it looks/smells like: Creamy and dreamy. Soothing oat milk and calming rose, lavender and chamomile oils combine with a hint of cocoa butter. Definitely not food, but food for your skin nonetheless. Now that we’re somewhat clued-up on self-preserving products and we can successfully identify them (the internet was filled with posts of beauties mistaking Lush products for anything but what they actually are), we’re hoping our breakdown makes it that much easier to join the movement. If we all do our bit for the environment, the smallest change goes a long way. The dream cream really sounds like a dream for my sensitive skin , i can’t wait to try it out! Sounds amazing especially if you in a rush pop one in your mouth before heading out … our even if you having a fishy dinner or luch pop one right after this is a must buy ! The lush new hair shampoo bar sounds fantastic !!!! I need to try this product to promote hairgrowth this is truly what I need right now . would like to try out the shampoo soap! Those Oral Pleasure Toothy Tabs caught my eye! I NEED to try this out. I didn’t know such products existed. Thank you. 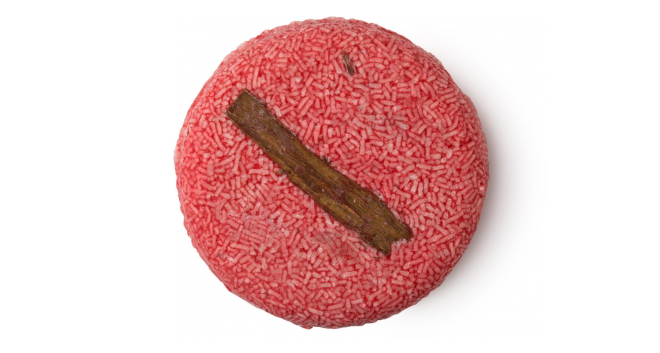 Also, I love using the Lush shimmer bars for an amazing glow and body tint, its amazing. I have used “new hair ” shampoo bar and it is amazing!! I have been using Lush shampoo bars for over 4 years. The hair soap is quite strange looking and the thought of washing my hair with a soap (bar), does seem very foreign but thus far none of the products I’ve used from Lush has disappointed. I’ve seen You Tubers advertise this, Lush support and empower underprivileged youth in northern Cambodia through education, shelter and healthcare, not tested on animals, and consumers love it. I still have to try it, can’t wait. This is soooo awesome! The hair soap looked like meat, but is so cool I would love to try it.